When people do the spring cleaning in their home, then they get so many visible benefits with it. It help them have better help, they get fresh feeling in the home and they get many other benefits similar to this. 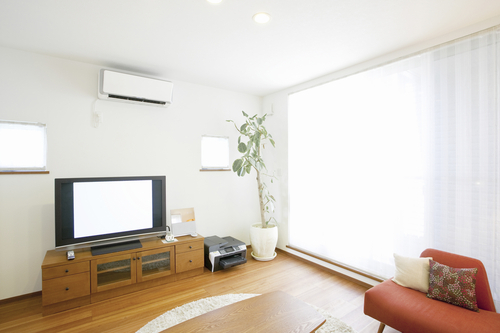 However a lot of people do not have any idea that spring cleaning can help your aircon as well. I am sure you want to know how this is possible and that is why I am sharing 12 reasons why spring cleaning can help your aircon. Better maintenance: When you do the spring cleaning work, then most of the time you take the help of experts for your aircon maintenance as well. This is a thing that helps your aircon in the best possible manner. In a normal situation you may try to finish the maintenance work as soon as possible and you may ask your technician not to make any mess on your floor. But at the time of spring cleaning you do not worry about these things and he can do work with free hand. As a result of that you get better maintenance of your aircon. Clean Air filter: Cleaning or replacement of your aircon filter is one thing that you always do during spring cleaning. This clean filter reduce load on your aircon and it gives much better result to you in easy ways. This cleaning of filter also increase the health of your family because they get fresh and clean air that too without any kind of complication or trouble. So we can say that is another benefit that you can have with this option. 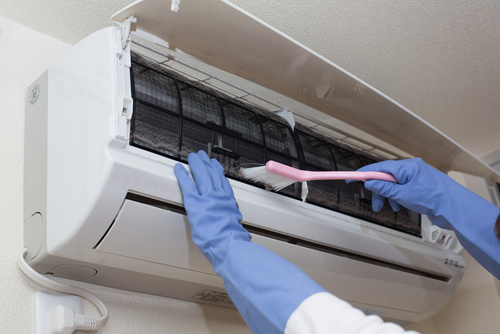 Clean pipes: In your spring cleaning work you clean a lot of things that include aircon pipes as well. 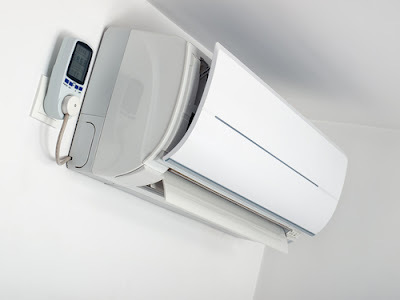 These aircon ducts or pipes can have a lot of complications in it and it can certainly affect the performance of your aircon as well. Spring cleaning can do the cleaning of this particular pipe and you will be able to have better result with utmost simplicity. Therefore, if I would consider this as one more benefit of this option, then that is not an exception in any ways. Clean tray: The tray the collect the excess water of Aircon may get very dirty and normally people ignore to clean it. Over a period of time this tray can have various microbes in it which may not be good for health. Also, it can be a nesting place for mosquitos which are really harmful parasites and carry a lot of deadly diseases with them. In spring cleaning work you do not ignore this thing and you can get a lot benefits as well for your aircon. Reduction of bad smell: When you have some kind of bad smell in your home, then your aircon need to work real hard for same. You can have this bad smell in your home because of dirty carpet, dirty tapestry and other complication. This bad smell affect the performance of your aircon and you get really less result with it. But your spring cleaning can help you do the cleaning of your carpet, curtain tapestry and other things. As a result of that you will not have bad smell in your home and you get benefit in your aircon. Tightly sealed windows: If your window is not tightly closed then you may not get better cooling with your aircon. Also, it will give more load on it which is not good for the device. While you do spring cleaning work, then you simply check these leaks as well and you close the window gaps easily. As a result of that you get positive result on your aircon health. Freedom from microbes: Spring cleaning can certainly remove all kind of microbes and harmful bacteria’s from your home. This will put less load on your aircon and you will be able to have really good result as well. So, I can say that is another benefit that you get with the help spring cleaning work. Better electrical supplies: Your spring cleaning can also give information about all those loose electrical spots that can cause a short circuit or other complication in your system. These things can affect your aircon as well, but once you identify the issues during the cleaning process, then you can get rid of those issues as quickly as possible. So, you get good result with utmost simplicity. Check for coolant leak: Normally you may miss the bad smell of coolant leak from your Aircon, but you can easily identify the same at the time of spring cleaning. If you notice any kind of coolant leak then you can instantly check the root cause, you can seal the leakage and you can top it up with coolant. That helps you get better performance form your aircon device. Less dust in home: Your spring cleaning work can help you get rid of dust and dirt from your home. This lack of dust will certainly reduce the load on your aircon and that will help you get better performance from your aircon. Also, this lack of dust will help you get much better result in the performance and you will be able to have a really less complications in it. Long lasting life: This is the biggest benefit that you can have in your aircon with the help of spring cleaning service. Since, you will have very few complications in it and you will be able to get rid of possible causes that can reduce the life of your aircon. Hence, you will be able to have really long lasting life with the help of spring cleaning in a really easy way.